When you hear the word NASA, or astronaut, you cant help but think of gantries and count downs, of a half dozen stalwart heroes strapped into a tin can bolted to the top of a very large very fiery rocket. Struggling against the merciless pull of the earth, they're hell bent on the blackness of space. That type of thinking is at best conservative, and at worst nostalgic. There is a better path out of the gravity well. It is as far beyond Von Braun's rocketry, as Von Braun was beyond the hot air balloon. They call them Orbital Towers, Beanstalks, or Space Elevators. They stand to change space from an exotic expensive remote location, to just another place that humans live work and play. The concept of the Space Elevator is an old one, popularized by Clarke and trail blazed by Russian scientists generations ago. The Space Elevator has always seemed a thing of fiction. The subject of wishful thinking techno-utopian day dreams. But the technology has caught up with us. 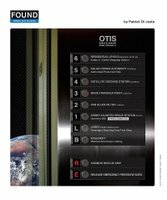 Real working Space Elevators are now within reach. The question is whether or not we will build them. The physics behind Space Elevators is very simple. Basically it is a ribbon, with one end anchored firmly on earth, and the other end attached to a heavy weight 100,000 kilometers (62,000 miles) from earth. The ribbon is kept aloft by the earths own rotation. No astounding technical feats required, simple physics does all the heavy lifting for us. To Illustrate this principle, think of a ball at the end of long string. If you swing the string around fast enough (earths rotation), the ball's inertia keeps the string string extended, and it will continue to orbit, so long as you continue swing the string. To leave earths atmosphere once the ribbon is in place, vehicles would only have to "climb" the cable. No more loud, messy, expensive rockets. Cable cars would shoot up and down the elevator carrying tons of cargo and even people, like bullet trains with tracks leading to the stars. The advantage we would gain over rocket propelled flight is, in a word, astronomical. Rockets must also lift the weight of their fuel to move into space. Thus getting one kilogram of mass into orbit costs around $20,000. 1 kilogram of mass put into orbit using the Space Elevator would cost around $200. About twice the cost of shipping the same mass from Detroit to Tokyo, or the cost next day air from New York to LA. Orders of magnitude less expensive than using our fleet of aging space shuttles. Proponents estimate that the actual construction costs of the Space Elevator would range from 6 to 8 Billion dollars. To put that in perspective, that's about half of NASA's budget for one year, or half of what we spent bailing out the airlines in 2001, or one month of daily operations in Iraq. Once the first elevator was operational, we could use it to reduce the cost of a second one dramatically. Very shortly, we could have a host of elevators, eventually dropping orbital costs down to as little as ten dollars a kilogram. At that point the economics of space would explode. Energy companies could build gigantic solar arrays to beam non stop renewable power to the earth for pennies, mining operations on the moon, space hotels, solar system cruises, personal satellites, and a myriad of things we haven't yet imagined. Early elevator development has been very successful. LiftPort, one of the leading Space Elevator companies, recently tested out their prototype climbing vehicles on a tether connected to a newly designed high altitude platform that was over a mile up! Both skeptics and proponents agree that the last real technical hurdle is the ribbon itself. We need something with a strength stronger than that of steel, that weighs less than a feather, and can be made in a sheet that's only feet wide, and more than 62 thousand miles long. The only possible material that fits that bill are carbon nanotubes. Tiny structures of pure carbon, woven together into super light super strong strands. Up until a few years ago ten centimeters was about the limit for a length of nanotubes, and making ribbons was a very long and expensive process. But things are changing. As early as 2004 they were pulling hundred meter long nanotube threads from the furnaces at Cambridge. And in the fall of last year, researches at the University of Texas developed a process that makes sheets and ribbons of nanotubes at a rate of seven meters per minute! The resulting material is stronger than steel or Kevlar, one step away from what we need to hoist the Space Elevator up by it's bootstraps. Watch the remarkable video, and see the future of space flight in it's infancy. If I had to give you one name to watch for in the coming days of Space Elevators, it would be former Los Alamos researcher Dr. Bradley Edwards. He's on the Board of Directors (along with Liftport's Michael Laine) at Spaceward, the group behind Elevator 2010. So called, because they plan to have all of the technical details solved by that year, and a working Space Elevator built by 2020. His particular vision of the Space Elevator is the best developed, and he is said to have some very large investors waiting in the wings once all of the technology is where it should be. 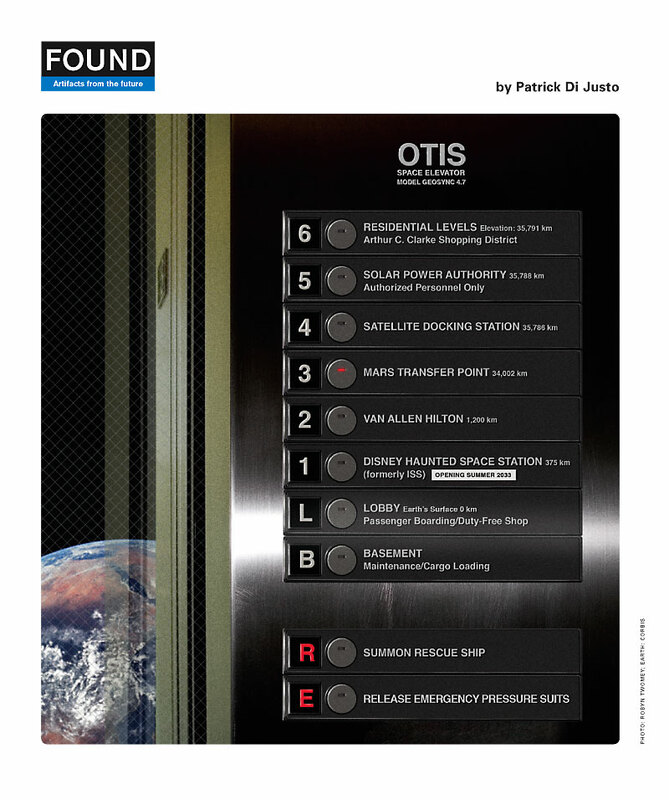 Check out his Spectrum article for more on the elevator, and some inspiring images. Dr. Edwards might turn out be the Von Braun of this new era of space flight. One thing is for sure, I'm getting in on the ground floor. GOING UP! It is more accurate to write that Dr. Edwards is on the board of directors (as is our own Michael Laine) and not that he is a director. Good post and thanks for linking to us. Noted, and will be changed ASAP. Thank you very much for you kind words. You folks are doing some pretty amazing work. We hope to see a whole lot more of you in the years to come. Thanks for helping build the future. And thanks for reading Memepunks! I'll keep reading Mempunks (and I do like that name) if you promise to be honest critics of Liftport and what we're up to. Seriously - we need support but it has to be honest support. One of my fears is getting so wrapped up in the Idea that we loose focus on reality, miss a key change in the culture and BANG we're yesterday's news. Motorola did something like that with Iridium - by the time it came to market everyone knew the handsets were too clunky, the system not nimble enough and too expensive, and generally they were a few years too late to capture their market. D'oh. People _in_ Motorola probably knew this as well but it's hard to turn a ship that big. Having honest critics who like us will wonders to avoid this problem. Key culture changes, and emergent technologies are two of the big things we keep an eye on here at Memepunks. Rest assured, if at some point you trade your Prius in for an Edsel, we'll call you on it. FYI I signed up on the Liftport forums, and we'll be keeping clse tabs on your progress in the days ahead. P.S. Is there any video available yet for last month's 1500 foot climber test? I've been hearing an occasional word about the viability of an elevator for years now but I had no idea it was this close to being possible! I look forward to hearing more on the subject over the next few years. Alas. Finances preclude me from traveling to ISDC, or, really, anywhere much further than Chicago or Minneapolis. It's nice in Wisconsin but all the really good stuff (it seems) happens on the coast. Is there any video available yet for last month's 1500 foot climber test? I'll ask. Send an email to info@liftport.com as a follow up in case I forget. Don't get too excited - or rather do but realize there are quite a few things that could keep this in the realm of 'wouldn't that have been nice'. If you want the scoop from the horse's mouth we publish a newsletter monthly. We don't spam, we try to entertain or at least inform. What we're really after with the newsletter are numbers - something we can trot out and show people that, yes, here are x people who believe in our species future in space. Space is embedded in our culture, and it's important to us in ways easy to see and hard to quantify. But because it IS so much a part of who we are it - much like rule of law or freedom of speech - is only marked when disaster strikes. Columbia launches - yawn. Disaster strikes and a nation weeps. This is the sign of something people care about, deeply. Data showing that X people are on our mail list, X people pull an RSS feed from our blog .. it's a quantifiable number to pull out and wave around and show that we care. I think this is one of the coolest ideas ever. But, I have two questions. How long could someone possibly stay up there? Also, is it be possible to just connect more than one ribbon to the structure? If it is, it would be harder for the terrorists to cut all of the ribbons, also you could have more than one elevator car hooked up to the station. Hunting and Releasing Books in the Wild. Only a Fool Robs a Magician. The Devil is a motherfuckin LIAR! Cures and Implants. A Good Weekend for Medicine.